Do you love drinking a big glass of cold milk everyday? If so, and if you are male, then your favorite glass of ice-cold milk may be doing you more harm than good! In this article, I am referring to pasteurized, homogenized, non-organic milk which is an enzyme-less, nutrition-less food, incapable of rebuilding or maintaining bones or teeth because it is not a good source of calcium (since the enzyme phosphatase, which is required to absorb calcium, is destroyed during the pasteurization process). 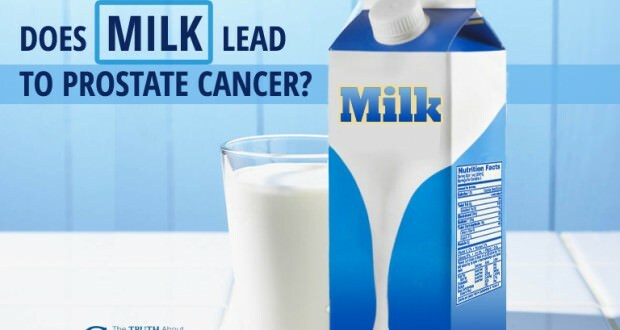 But let’s get back to the subject of milk and prostate cancer, shall we? Since the 1970s, medical journals worldwide have published studies that correlate milk with an increased risk of prostate cancer. Of these studies, one in particular from Italy found that male patients who frequently consume milk and other dairy products actually have a two and a half times greater chance of developing prostate cancer than the general male population.